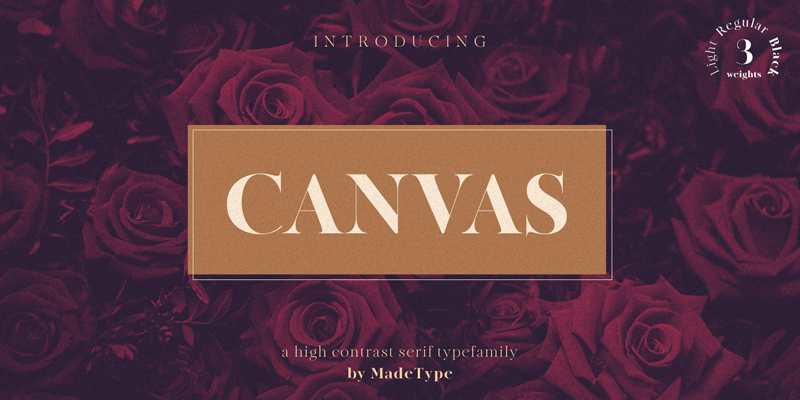 MADE Canvas is a family of high-contrast serif fonts. Canvas is a modern style "Didoni". The typefamily includes 3 weights - Light, Regular and Black. The hairlines in all of the fonts are very thin.